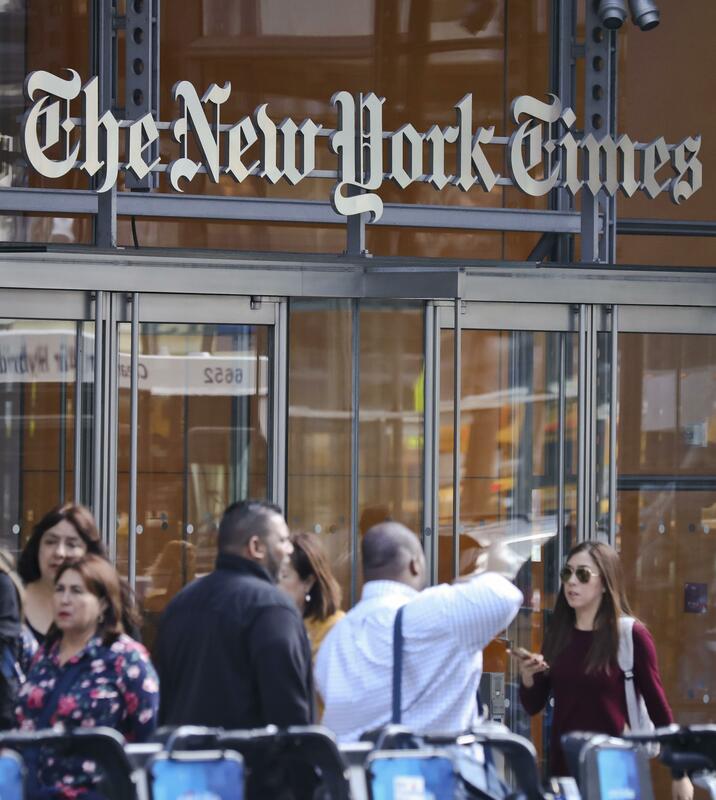 Wed., May 31, 2017, 11:07 a.m.
NEW YORK – The New York Times is ditching the public editor position, created in 2003 as the paper sought to restore its credibility with readers after a plagiarism scandal. Publisher Arthur Sulzberger wrote in a memo that the public editor’s role “has outgrown that one office” and that the paper is instead creating a “reader center” to interact with the public and will allow more commenting on stories. The paper’s current public editor, Liz Spayd, will leave Friday. Margaret Sullivan, the well-regarded former Times public editor, now a media columnist at the Washington Post, tweeted Wednesday that she was not surprised that the Times dropped the role, which she characterized as a “a burr under the saddle for the powers that be” and capable of holding managers’ “feet to the fire.” She noted that other newspapers, including her current employer, have dropped public editors in recent years. The Times also announced its latest round of newsroom buyouts Wednesday, aimed primarily at editors. It said layoffs were possible if enough staffers did not accept buyouts. But the company is still hiring – it wants to shrink its editing corps and add more reporters. Newsrooms across the U.S. have long been cutting back on staff as print-ad revenue shrinks. Digital ad growth has not been enough to make up the shortfall. Published: May 31, 2017, 11:07 a.m.